Click on images for further information and image descriptions. ​was launched early December 2016 and replaces The Lab, Bendigo. 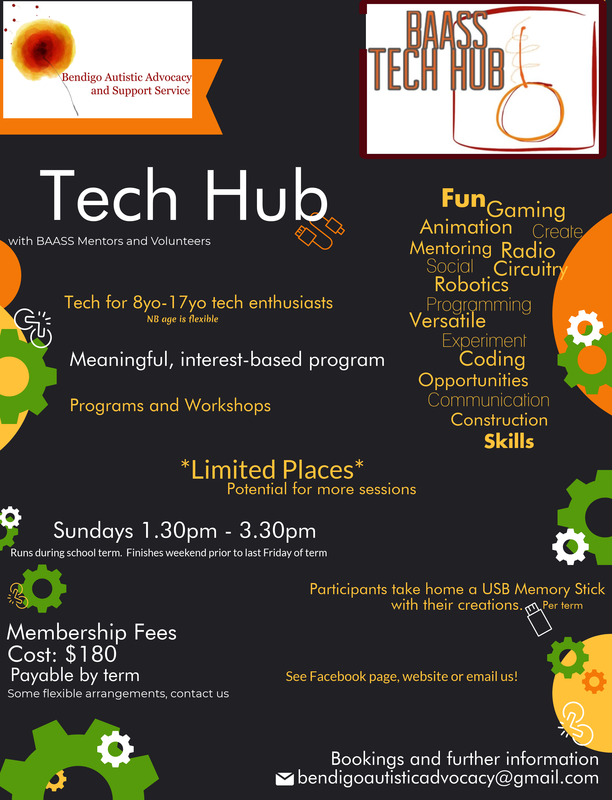 See our latest fliers for term dates and sessions + more on our BAASS Tech Hub page and follow along for events and updates on the BAASS Tech Hub facebook page here. ​Click on the dandelion floret to visit our Sensory Gymnastics page. 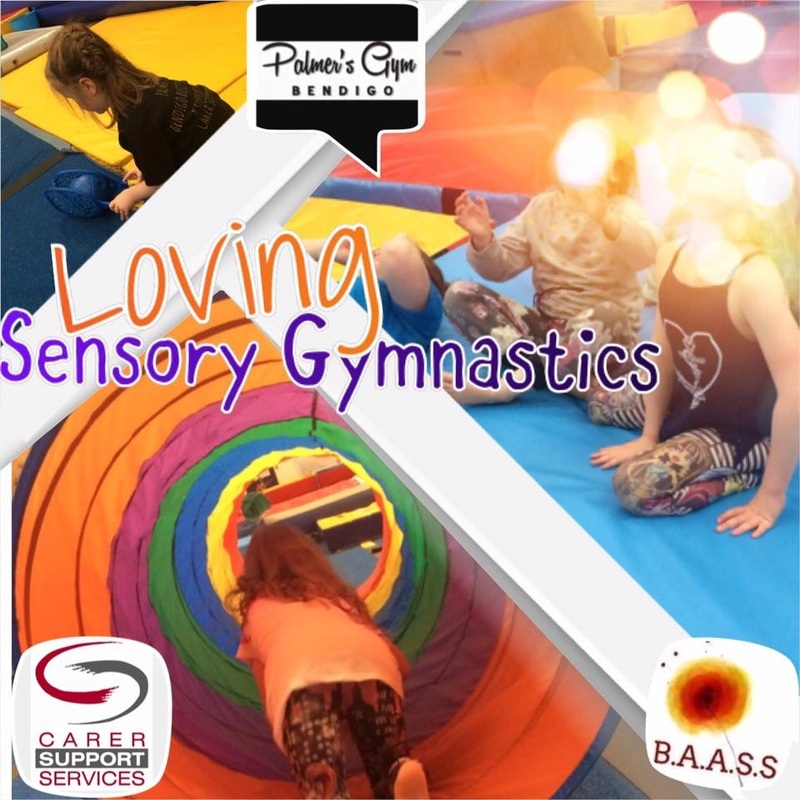 The Sensory Gymnastics program with Palmer’s is no longer running as Palmer’s does not wish to continue this truly meaningfully inclusive program. An inclusive Sensory Gymnastics is one of our utmost priorities so please watch this space! ​Over the Easter weekend we are thrilled to host this community event. ​Please note the timing of this event is coincidental and not related to 'autism awareness'. 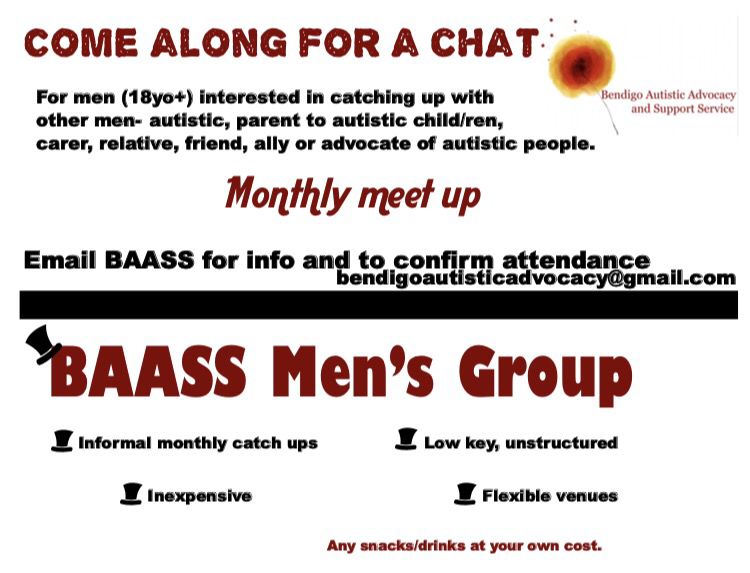 BAASS advocates for inclusion and acceptance. To read more about acceptance as opposed to awareness, visit our 'Informative Links’ page here. ​You can read an image description on our facebook post here.